Thanks to Borneo being cancelled by snow, I managed 2 snowboarding trips this year. 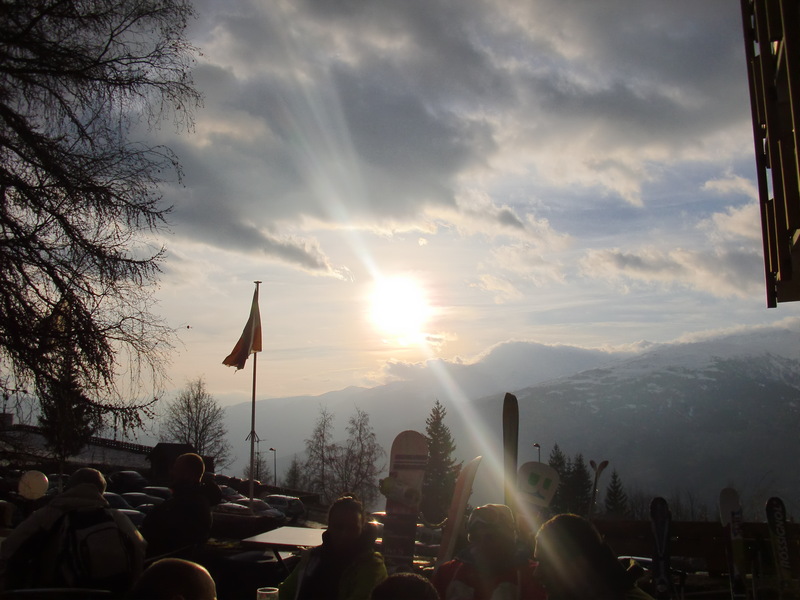 This time Les Arcs, the other side of the twin-resort Paradiski area to La Plagne. 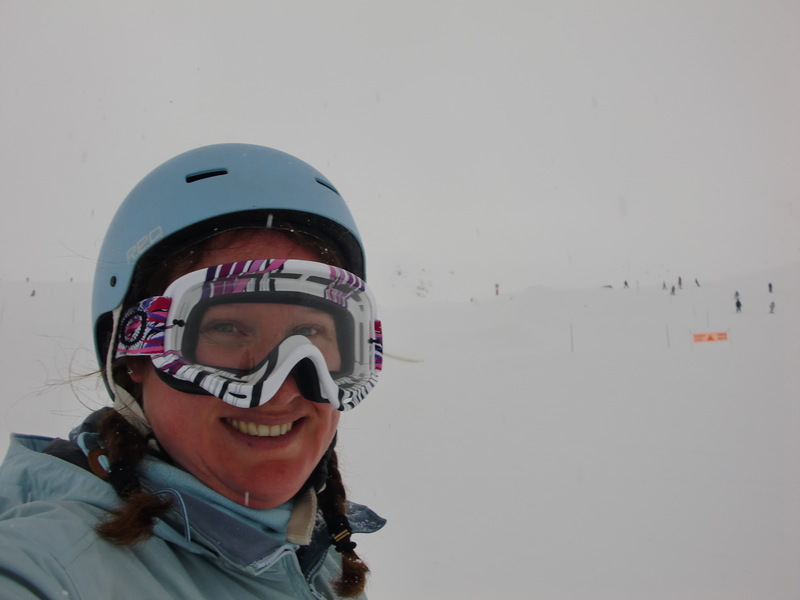 Like La Plagne, the pistes were well kept, so I had a really good time tumbling my way towards finally being able to call myself an intermediate snowboarder. Taken when (after much perseverance) I arrived in Arc 1800 on my board/feet, as opposed to on my arse! 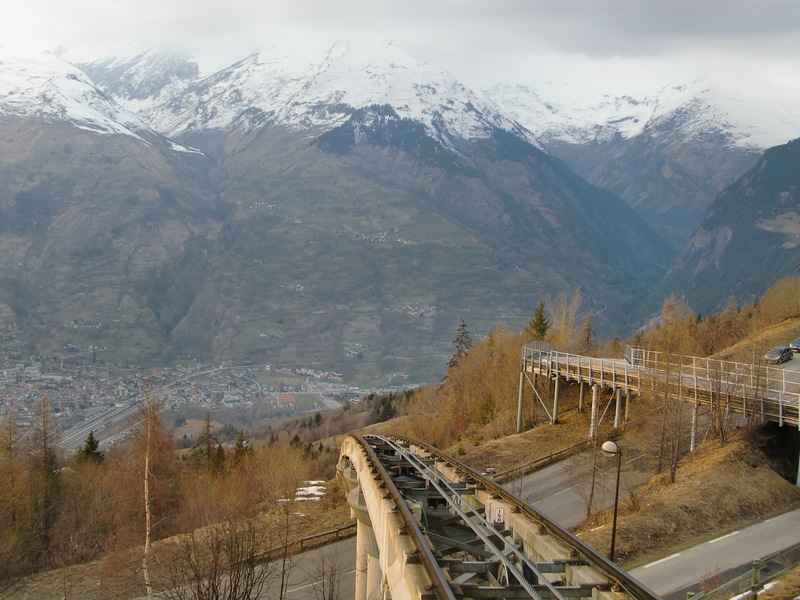 …but the views are good and you can see Mont Blanc on a good day. There’s certainly worse places to have a beer at the end of the day. Arcs 1950 and 2000 are newer, (obviously!) higher, and tucked away a little between higher peaks, so when the mid-March sun got too much for the lower pistes I headed upwards. 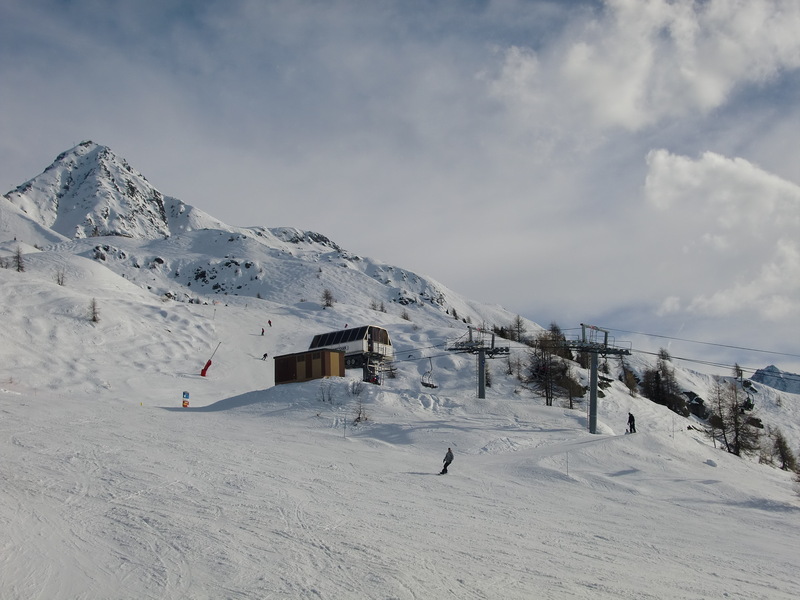 I particularly liked a long, undulating blue called Valee Des Arcs running from the top of the Varet chairlift at 2700m. The run drops 1000m over c. 3km of piste. Not scary for the under-skilled like me! 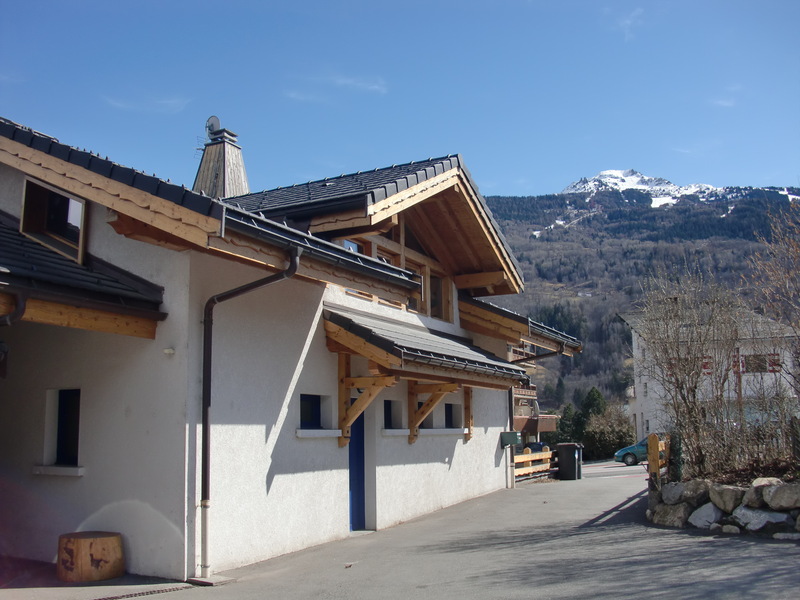 I can most heavily recommend that anyone considering a snowboard holiday in Les Arcs stays at the Loft Hostel in Bourg St Maurice. The hostel is run by a Brit girl, Charley, and was certainly a very sociable place full of fun and friendly snowboarders the week I was there (people I’ve bumped into since back this up). It’s about 5 minutes’ walk from the Eurostar terminus and 7 minutes’ walk (in your full gear) to the funcicular up to Les Arcs. 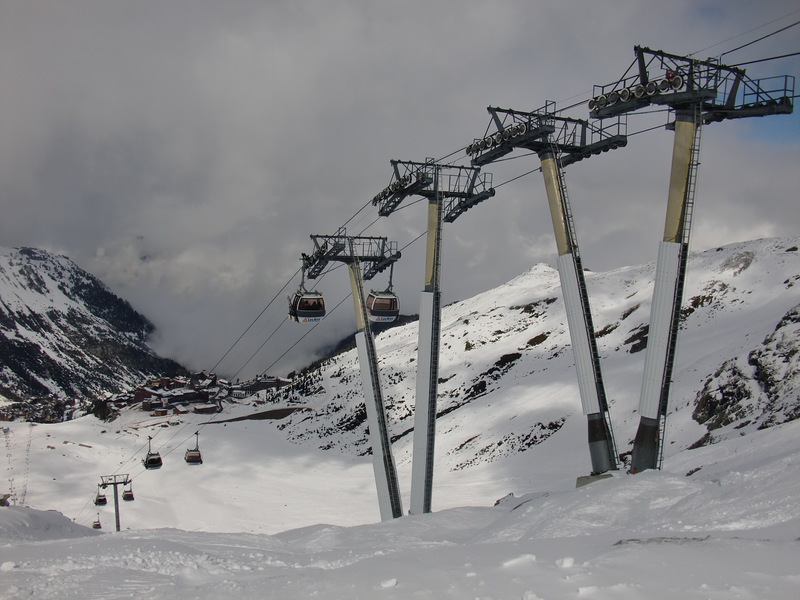 Oh, and the funicular trips, like all resort buses, are included in your lift pass. 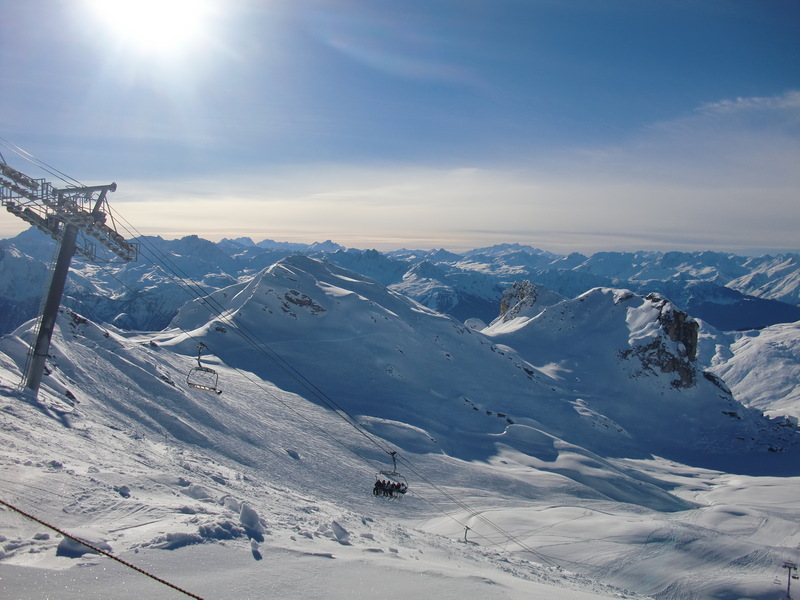 If you feel the need to venture further than the Vanoise Express across to the La Plagne side of the Paradiski, you can even take a bus from Bourg St Maurice to further afield places such as Tignes or La Rosiere.